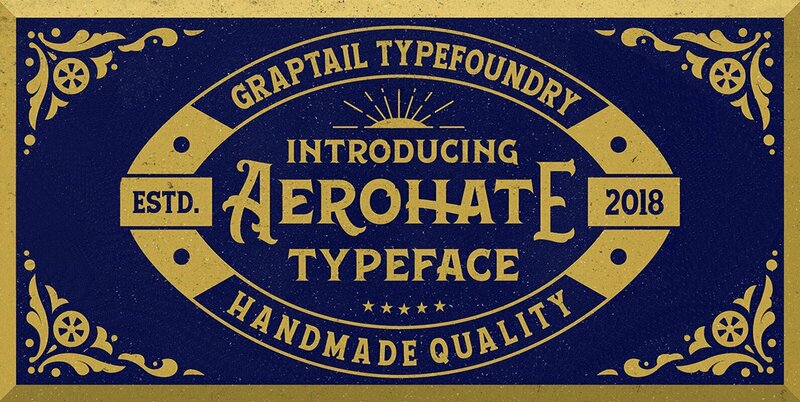 Aerohate is a font display is made by hand, inspired by classic labels and poster. Aerohate comes with uppercase, lowercase, numerals, punctuations and so many variations on each character include opentype alternates, common ligatures and also additional swash to let you customise your designs. Perfect to use for Logotype, Letterhead, Poster, Apparel Design, Label and etc.